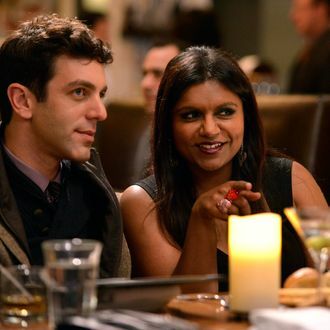 The star and creator of The Mindy Project told the crowd at Friday’s PaleyFest that, now that Fox has re-upped her show, she’ll spend her free time before the next season writing a book. The followup to September 2012’s Is Everyone Hanging Out Without Me? doesn’t have a title yet, but Kaling said that its subject will be “the high highs and low lows of the past 18 months.” The publish date is in “like a year and a half,” which is when she’ll have to start on another book if she wants to keep up the pattern.